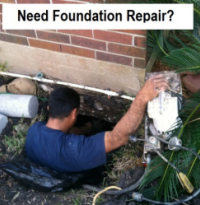 Do you need a reliable and trustworthy Houston slab and foundation leak repair expert? 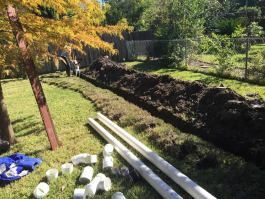 Need under slab tunneling to move plumbing? Request an Estimate or Call us at 713-321-2657 to learn more. If you believe you may have a slab leak in your Houston, TX home, don’t delay. Call 713-321-2657 right away. A member of the knowledgeable and friendly staff at Tunnelnow.com will soon arrive at your door to locate and repair your slab or foundation leak. Any leak in a pipe that is located underneath a home’s concrete floor or foundation is considered a slab leak. These kinds of leaks can lead to significant structural damage to the building and create an environment that promotes the growth of harmful mold and mildew, which can be hazardous to your family’s health. If you detect any of these symptoms, contact a professional plumber who is well versed in fixing slab leaks, like Baker Brothers Plumbing & Air Conditioning, to avoid any further significant damage to your home. The first task will be to find the exact location of the leak. Using some highly sensitive technology that detects the sound of running water through walls, your Tunnelnow.com technicians can pinpoint where the problem is, thereby limiting how much cutting into the foundation will be required. 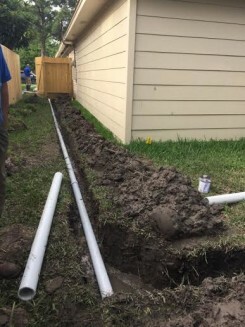 We have a solution for making under slab plumbing and foundation repairs for home and businesses in Houston.